Kinder Morgan has shut down the Trans Mountain pipeline for the second time this month — this time, while the company is gearing up for a public meeting on a possible expansion. The company says the pipeline was shut down north of Hope after "a small amount of petroleum product" was found in the soil around the pipe during a routine investigative dig. The pipeline was shut down as a precaution while the company continues to investigate. Kinder Morgan says about 20 barrels of oil leaked from the pipeline, but there is no threat to water or wildlife. A 15-person crew began repairing the line almost as soon as the leak was spotted. Burnaby NDP MP Kennedy Stewart says the latest leak is just one more reason to block Kinder Morgan's expansion plans. The plans will be presented to the public at an open house in Burnaby Thursday evening on its plans to expand the Trans Mountain pipeline. 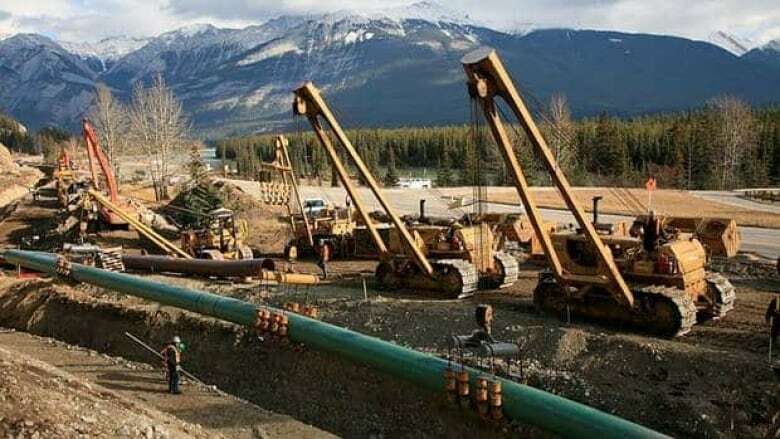 The company wants to twin the existing pipeline from Strathcona County, Alta., to Burnaby, B.C., ramping up capacity to 890,000 barrels per day. Stewart believes Kinder Morgan is downplaying the risk of spills on the Trans Mountain system, and takes issue with comments from a spokesman for the company who said there have been only a few spills over the past year. "But over the life of the pipeline since the 1960s, the company's own website shows they've had over 43,000 barrels leak at various points along that line from Edmonton to Burnaby," Stewart said. He opposes pipeline expansion both because he feels its unsafe and because he sees no benefit to anyone living near the line. "The massive disruption they are planning in our communities — tearing up highways, railway lines, going through people's backyards — is just not worth the risk." Kinder Morgan argues the line is very safe and it notes internal monitoring discovered both of the recent small leaks. Earlier this month, the pipeline was shut down after a small crude leak near Merritt. The company said about 12 barrels leaked in a remote area near Kingsvale, B.C. The almost 60-year-old, 1,150-kilometre Trans Mountain pipeline system provides the only West Coast access for Canadian oil products, including the majority of the gasoline supplied to the Interior and south coast of British Columbia.